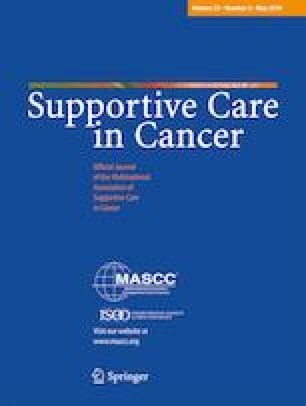 It is recommended to use comprehensive geriatric assessment (CGA) in clinical oncology practice to improve care for geriatric cancer patients and to identify medical and social issues that may need further intervention. The purpose of this pragmatic pilot study was to evaluate the effectiveness of the Hurria et al. CGA in cancer patients 70 years of age or older undergoing adjuvant chemotherapy, as well as the feasibility of integrating it into a busy clinic practice and the psychosocial impact on these patients. Twenty-five patients were recruited. Descriptive analysis was performed via a geriatric assessment questionnaire completed by the participants prior to their first adjuvant chemotherapy treatment and during follow-up, 2 to 6 weeks after last treatment. Additionally, study staff performed a geriatric healthcare assessment at both time points. The results of this pilot study show that administration is feasible despite some challenges. Administration of a CGA in a clinic setting presented some logistical issues with regard to time and space available in clinic. Analysis of patient data indicated only minor variations in patient domains from pre-chemo to post-chemo confirming previous research. Participants expressed gratitude for the extra time spent with them at a stressful time in their lives. Further information regarding the usefulness of a comprehensive geriatric assessment with regard to improving treatment selection, identifying undetected medical problems, and avoiding toxicity will be obtained if the administration of comprehensive geriatric questionnaires is incorporated into the clinic setting and considered into the allocated time for staff workload. We acknowledge the contribution of Research Assistant Archit Malyala in conducting this study. The study was approved by the local research ethics board (RID#2014–061).